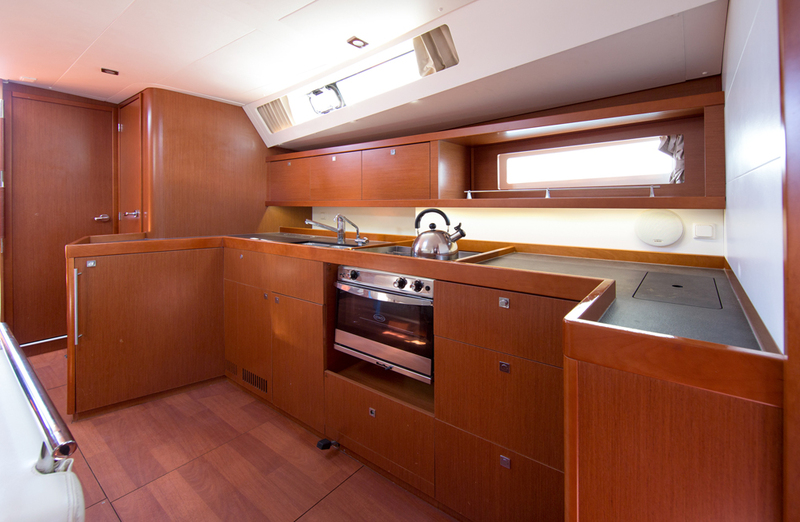 Gas stove & oven , Electric fridge , Freezer , Cuttlery – Kitchen equipment , Pans, plates, glasses, spoons, knifes, etc. 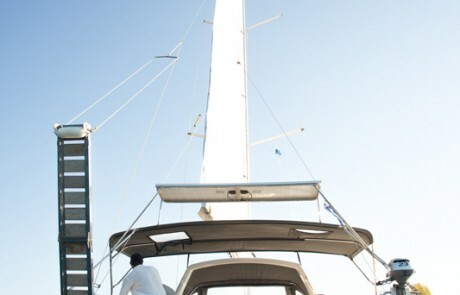 We own all the boats we charter, so you can be sure you are getting the best deal. 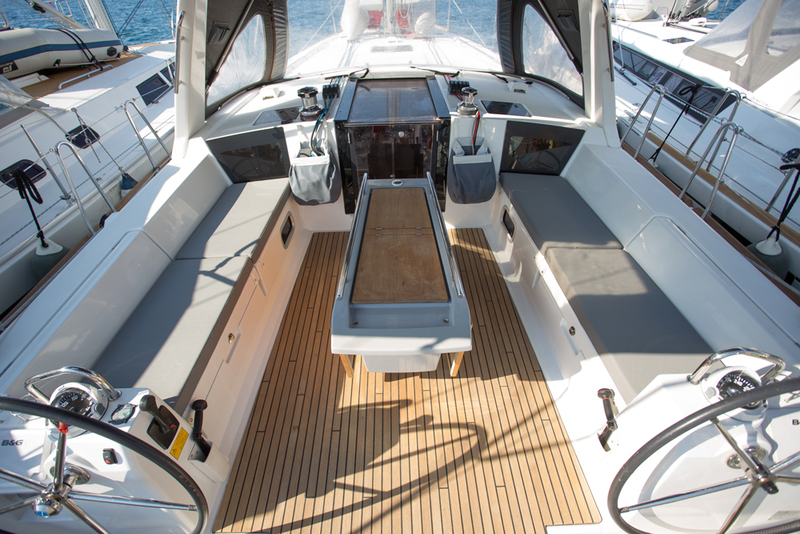 Our boats are in excellent order because we spend time during the winter to service them properly. 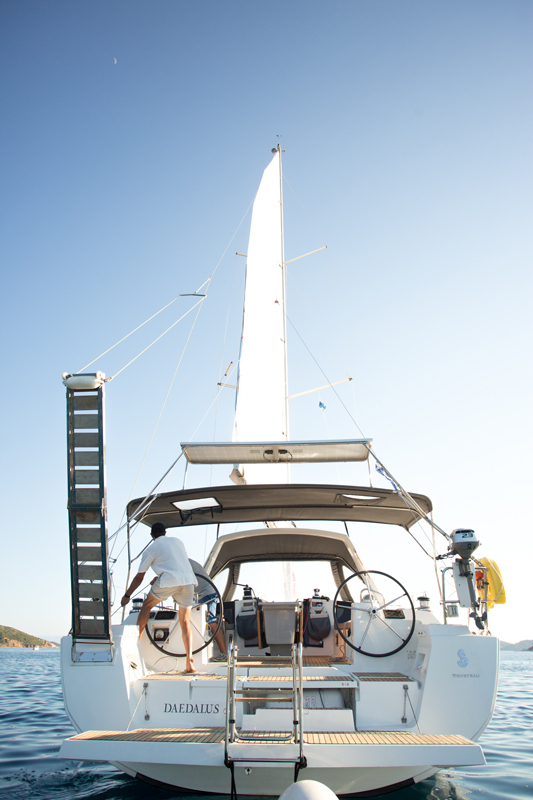 The equipment levels on our boats are the probably the best in Greece. 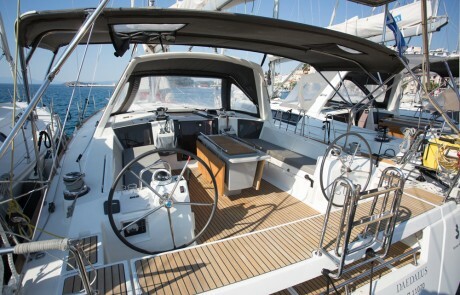 Adventuring even further with the new Beneteau Oceanis 45! 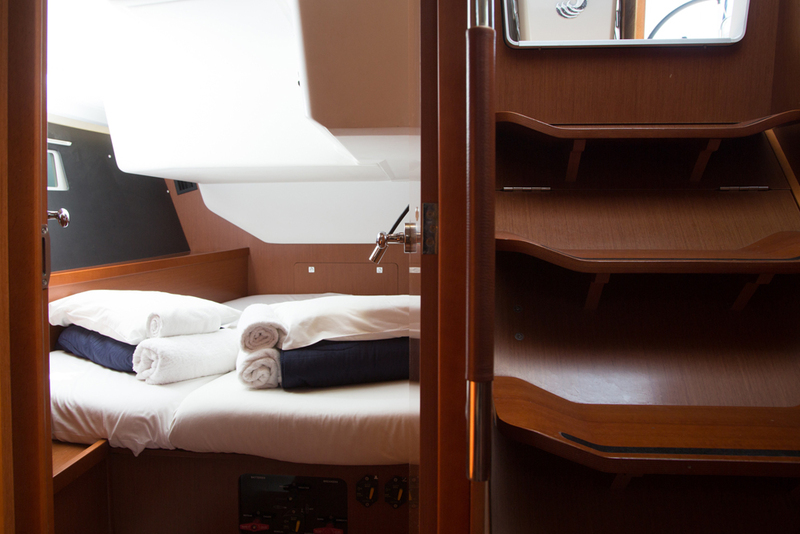 Life onboard is all about harmony, precision and simplicity. 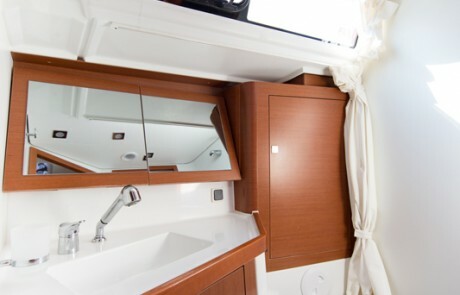 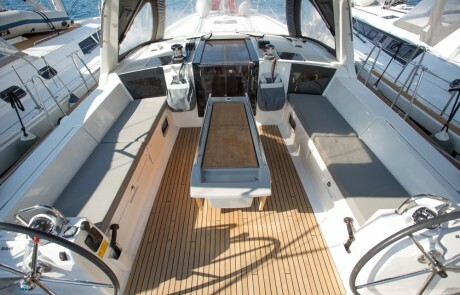 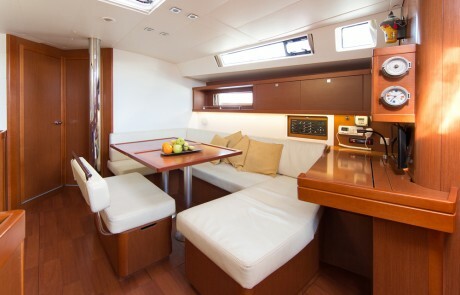 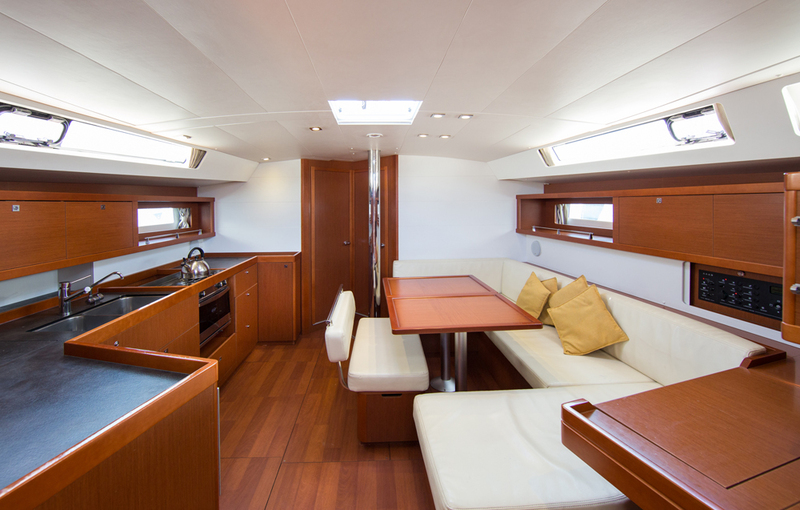 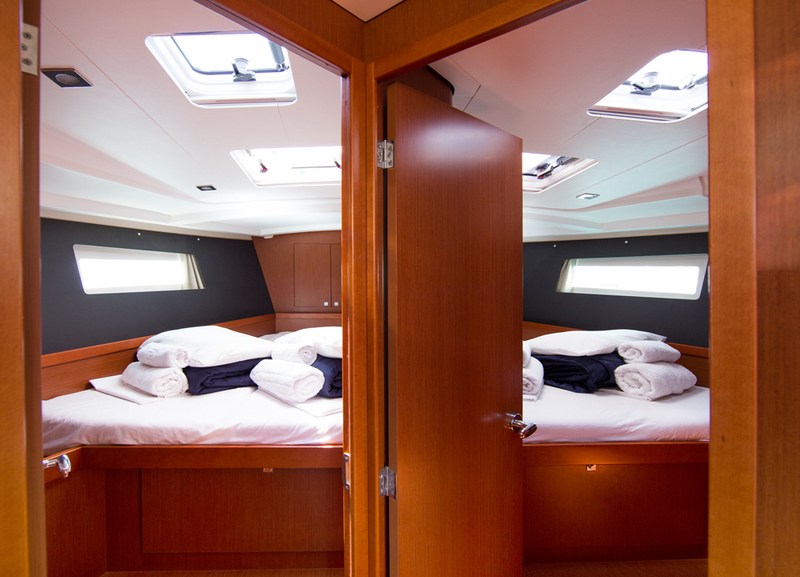 The choices on the Oceanis 45 encourage you to take to the ocean in complete safety. 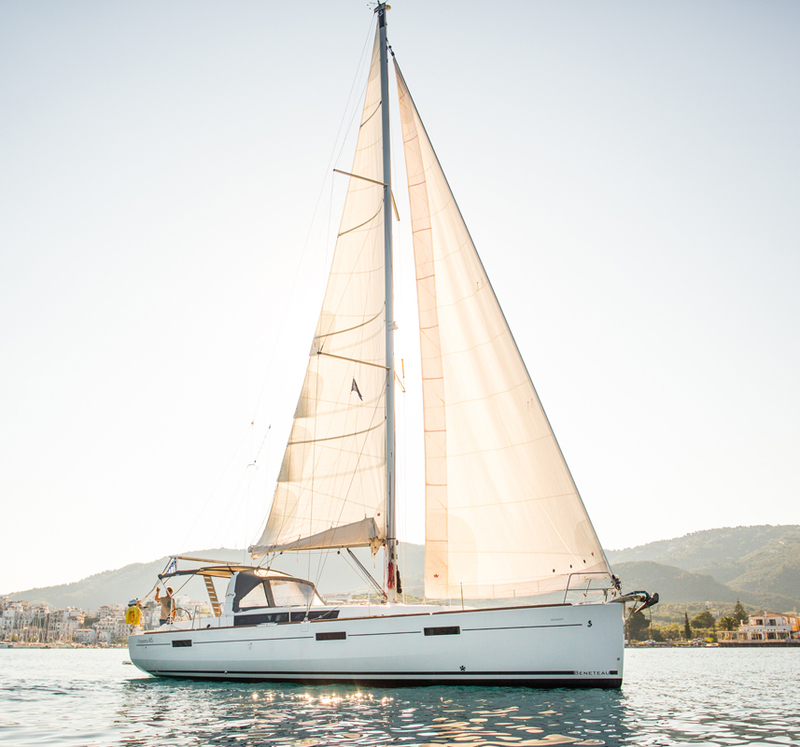 We presently have two new Oceanis’ 45 in our fleet with all mod cons including electric heads, bow thrusters, solar panels and colour plotters at helm and at navigation station. 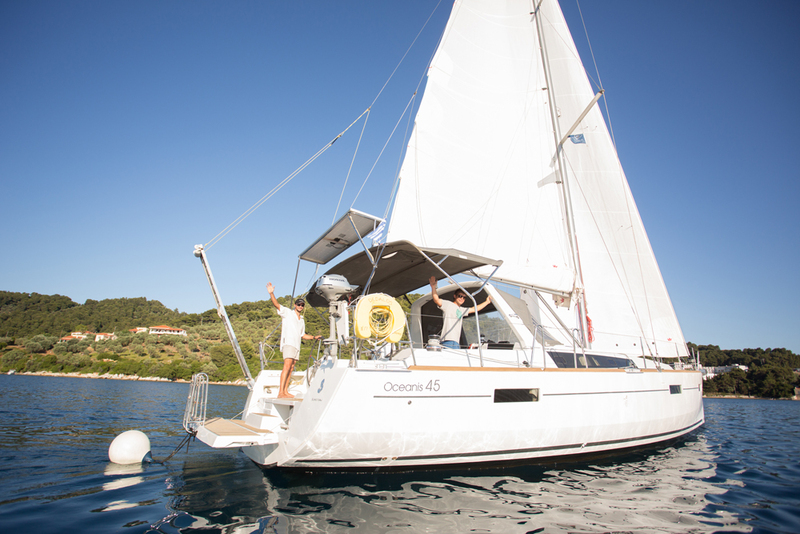 Whether you are headed to the Cyclades for a few days, racing the in Blue Cup Regatta or ready to take on the Aegean in August, the Oceanis 45 is the right balance of powerful speed and comfort. 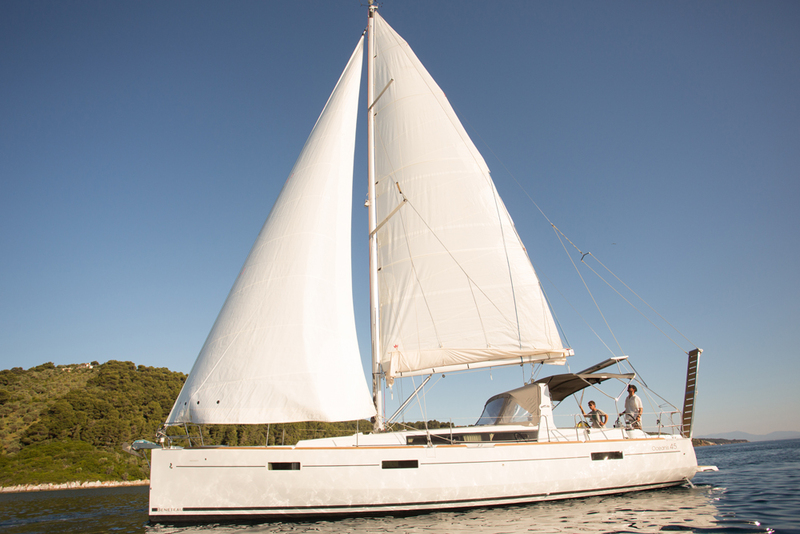 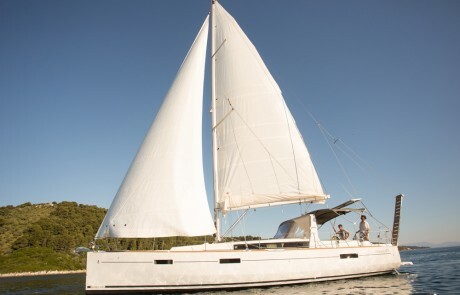 She can be sailed single-handed with ease or take the full crew to tear up the race course. 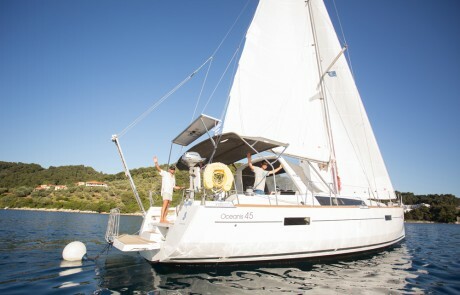 We are proud that our Sailing Yacht “Ikaria” was the winner of the 2013 Blue Cup. 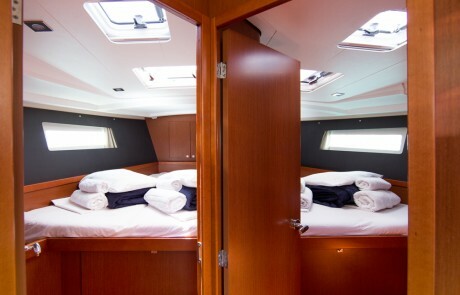 Take on a relaxed attitude. 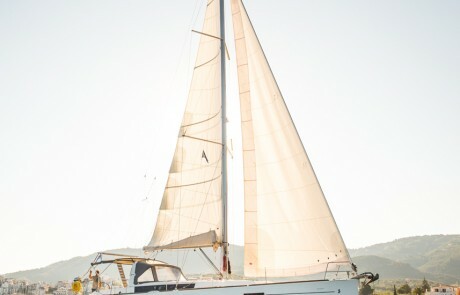 Everything is straightforward and intuitive and easy to live with. 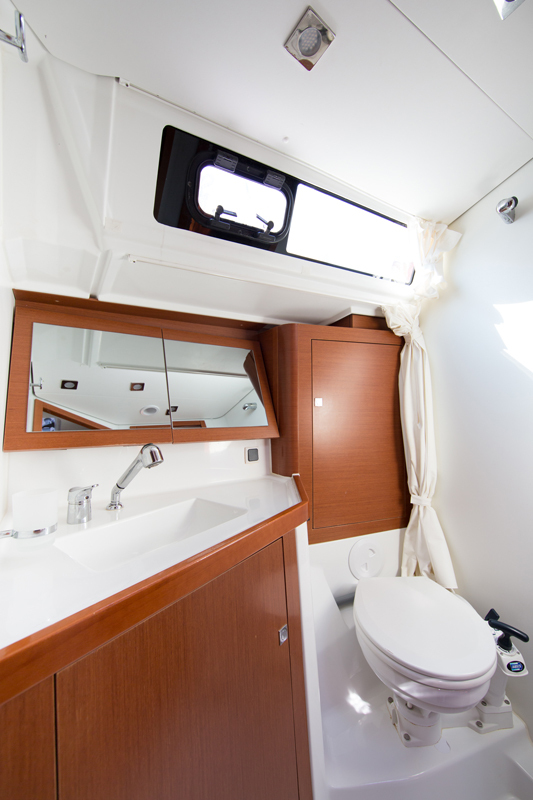 Each item has a logical place and everything is harmonious. Life onboard hits just the right note. 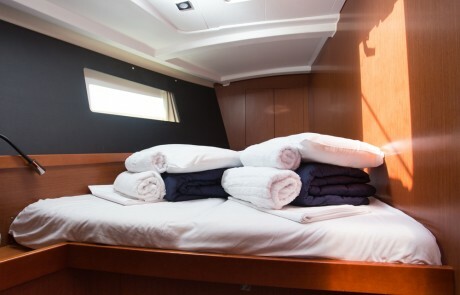 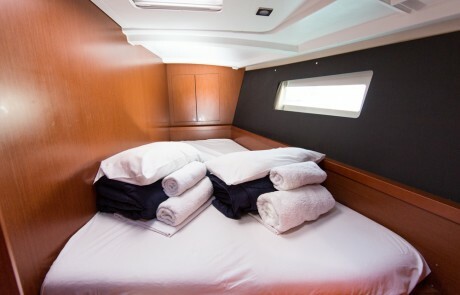 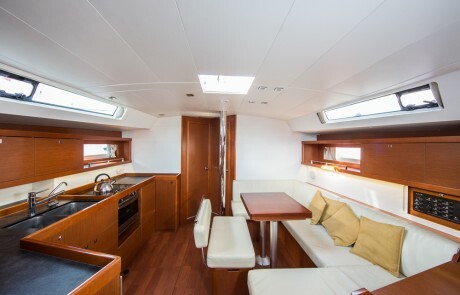 Our newest Beneteau Oceanis 45 “Daedalus” is at our docks and ready for your next charter. 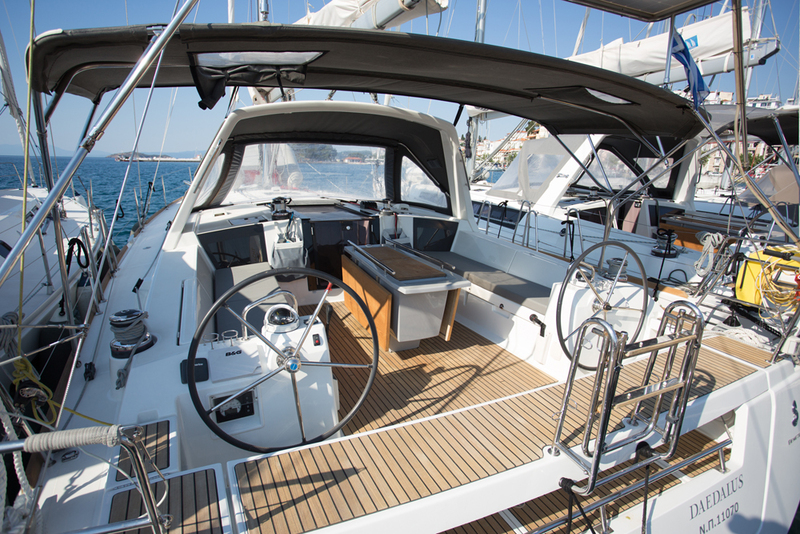 Learn today: do you know the story of Beneteau?